Many websites now contains live chat, where someone can supposedly chat with the owner of the business (or at least someone who works for the website) and get answers right away. It sounds great, but there are actually many reasons why you shouldn’t put live chat on your website. The biggest reason why is because it requires you to be at your computer (or some offer a phone app) 24 hours a day, 7 days a week. If you can’t then most of these live chat companies say you can pay someone to be available (this price varies based on what live chat company you go with). You may think that you don’t need to always be available because most of your potential clients work certain hours, and that may be true. You also have to take into consideration that your website is available to everyone around the world, and someone who is in a different timezone may want to chat and constantly see that nobody is available. That can turn that potential client off, they may go with a different company. Along with being awake 24/7 you are telling everyone that you are always available and willing to quickly answer their questions. When people see that live chat is online they expect a quick response, but do you really want to respond quickly and it poorly reflect your company? 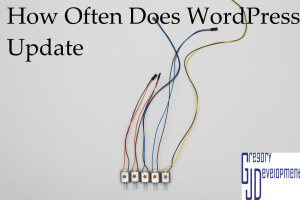 I love this blog post titled Give it five minutes which basically says you should always pause and take time to answer something so it not only reflects you better, it better reflects your company. Having live chat can also slow down your website, no live chat company will say how quickly or slowly it will take to load their live chat application since there are many factors in determine how slow (or quickly) live chat will load. 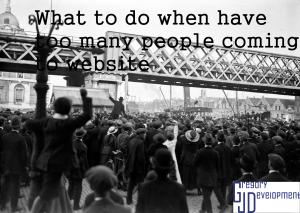 There are many conflicting articles online about how quickly (or how long) it should take for your website to load. 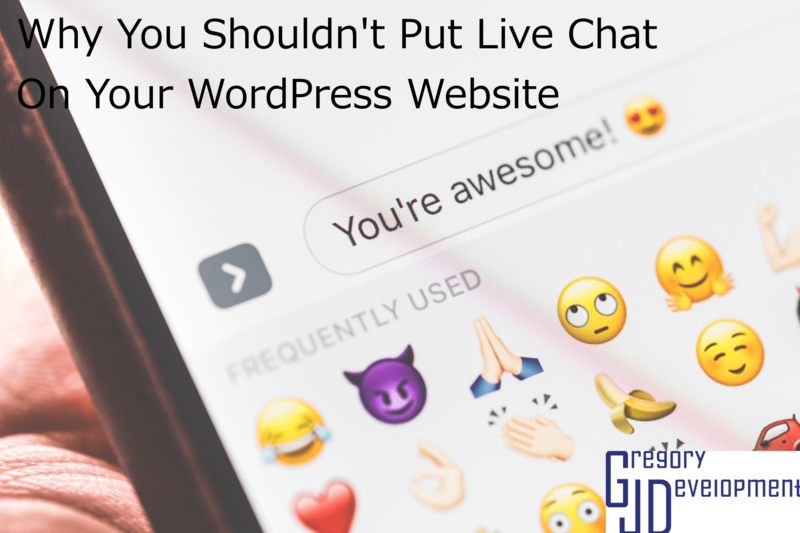 One special thing you have to think about with having a WordPress website is that the live chat company should offer a WordPress plugin, that way you can just click install, enter your live chat login information then the live chat should show up. 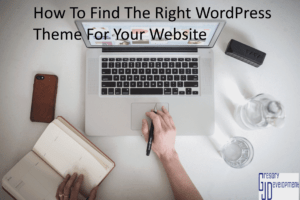 If the company doesn’t offer a WordPress plugin then you have to try and stress about how to get it working on your website, you could spend hours trying to find a guide to do it, you could pay someone a one-time fee to install it on your website for you. The problem with either of those do-it-yourself options (either actually doing it yourself or paying someone to do it) is that you could update sometime on your website (and you really should update your WordPress site often) and it could break the live chat. Most popular live chat companies will offer a plugin, but not every company will. Lastly, cost is a huge factor. Many articles online that talk about different live chat options don’t mention price, and sometimes it’s hard to find a price on a company website. Your best bet is to go to /pricing and if that doesn’t work then see if they offer live chat and chat with them to figure out pricing. You don’t want to spend a huge chunk of money and not have the live chat work the way you expect. There are free options, but as always the free option isn’t always the best option. To recap, you shouldn’t put live chat on your company website because it isn’t worth the time (to find the right company and be available 24/7), stress (trying to find the right company, having the live chat not completely slow down your website, and trying to integrate the live chat into your website) and cost (there are free options but it may not be worth it).